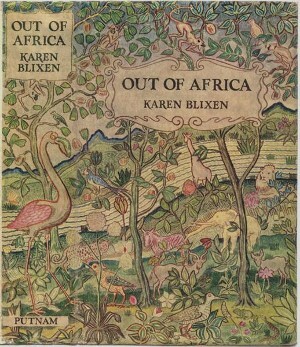 An excerpt from Out of Africa. I answered that I did not know. To figure to oneself a conversation with Kamante one must imagine a long, pregnant, as if deeply responsible, pause before each phrase. All Natives are masters in the art of a pause and thereby give perspective to a discussion. I had nobody else to discuss my book with; I laid down my paper and asked him why not. I now found that he had been thinking the conversation over before, and had prepared himself for it; he stood with the Odyssey itself behind his back, and here he laid it on the table.